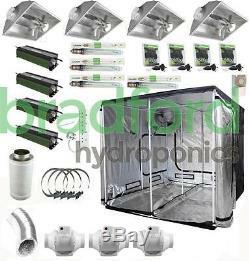 Complete Grow Tent kit Lumi Aircooled Digital 600w Light 200 x 200 x 200 cm. Grow Tent LUMI digital Kit includes. 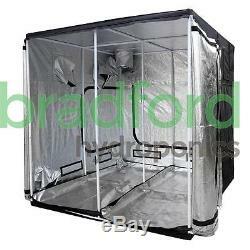 Grow Tent Pro 2.0m x 2.0m x 2.0m. 4 x 600w Lumi Digital Ballast. 4 x 600w Lumi Grow lamp. 4 x Large Aircooled Reflectors. Choice of 3 x 6 fans. 6 Jubilee Clips x 15. EnviroGro 600w Light Timer (runs two lights). 8" Pro Air 200/400 or 8" Pro Air 200/600 (12 to 18 month lifespan). 8" Rhino 200/400 or 8" Rhino 200/600. The item "Complete Grow Tent kit Lumi Aircooled Digital 600w Light 200 x 200 x 200 cm" is in sale since Monday, May 2, 2016. This item is in the category "Garden & Patio\Hydroponics & Seed Starting\Other Hydroponics". 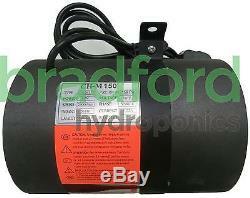 The seller is "bradford_hydroponics" and is located in Bradford.